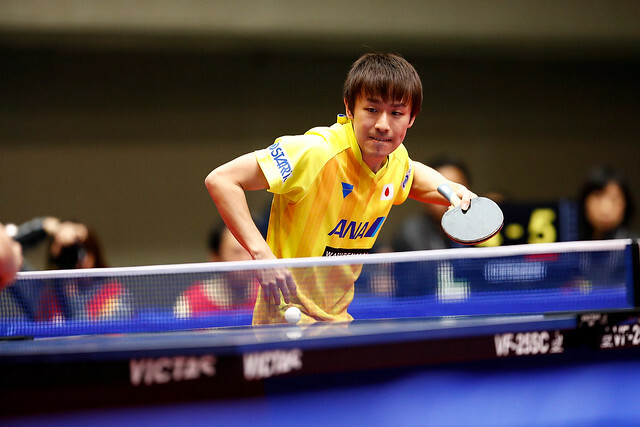 Who made sure of their spot at the 2019 ITTF World Cups? FAN Zhendong (left) and ZHU Yuling (right) will be at this year’s ITTF World Cups after their respective triumphs at the Lion 2019 ITTF-ATTU Asian Cup. China’s FAN Zhendong and ZHU Yuling claimed gold at the Lion 2019 ITTF-ATTU Asian Cup and in turn sealed their places at the Men’s and Women’s 2019 ITTF World Cups respectively. For world no. 1 FAN, this was a second straight Asian Cup success, while compatriot ZHU came out on top for an impressive third year in a row. The Chinese duo certainly lived up to their statuses as top seeds and defending champions, winning all six of their fixtures respectively to claim silverware in emphatic fashion. FAN would have to come from behind twice in his final victory over MA Long (CHN): 4-2 (9-11, 12-10, 9-11, 11-7, 11-8, 12-10), eventually staving off the threat of ‘The Dragon’, resurgent from his Qatar Open triumph the previous weekend. That had followed a crushing victory over second seed, Tomokazu HARIMOTO (JPN) in the semi-final, in which FAN also fought back after dropping the first game: 4-1 (6-11, 11-6, 11-8, 11-9, 11-4). By finishing second and third respectively, MA and Koki NIWA (JPN) joined FAN in securing their spots at this year’s Men’s World Cup, while fourth-placed HARIMOTO will be hoping to qualify among the next highest positioned players across the various Continental Cups. HARIMOTO lost to compatriot NIWA in Sunday’s Bronze Medal match: 4-2 (7-11, 3-11, 11-3, 5-11, 11-9, 8-11), complaining of a finger injury after the match, the severity of which is being monitored at present. Imperious in the Women’s competition, ZHU overcame compatriot and second seed, CHEN Meng (CHN) in the final. Coming out on top in a long first game, world no. 2 ZHU made the early advantage count, eventually beating world no. 3 CHEN by a 4-2 scoreline (15-13, 4-11, 11-5, 11-8, 7-11, 11-6) to claim her third consecutive Asian Cup crown. Joining ZHU and CHEN at this year’s Women’s World Cup will be Kasumi ISHIKAWA (JPN), who defeated FENG Tianwei (SGP) in the Bronze Medal match: 4-1 (12-10, 14-12, 15-17, 17-15, 11-8). The ITTF World Cups represent the second most prestigious events on the international table tennis calendar, after the ITTF World Championships. Only 17 of the top table tennis players who have qualified through their respective Continental Cups, together with the 2019 ITTF World Champions, one host player and a wildcard, can compete for the prestigious title that counts towards the Grand Slam (Olympic Games, World Championships, World Cup). China Construction Bank 2019 ITTF Europe Top 16 Cup: Dimitrij OVTCHAROV (GER), Vladimir SAMSONOV (BLR), Timo BOLL (GER); Petrissa SOLJA (GER), Bernadette SZOCS (ROU), Sofia POLCANOVA (AUT). Universal 2019 ITTF Pan American Cup: Hugo CALDERANO (BRA), Kanak JHA (USA); Adriana DIAZ (PUR), ZHANG Mo (CAN). Lion 2019 ITTF-ATTU Asian Cup: FAN Zhendong (CHN), MA Long (CHN), Koki NIWA (JPN); ZHU Yuling (CHN), CHEN Meng (CHN), Kasumi ISHIKAWA (JPN). Further names will book their places at the 2019 ITTF World Cups via the ITTF Oceania Cup (25-26 May in Bora Bora, French Polynesia) and the ITTF Africa Cup (3-5 August in Lagos, Nigeria).